Zhang and his team discovered that when they normalized the structure of blood vessels that feed breast tumors, they could encourage T cells to invade the tumors. 'Pre-cancer' genome atlas proposed to track tumours as they turn from benign to dangerous. The Food Standards Agency is also planning to extend the warning to every food-serving business in Britain. Under a new European Union food hygiene directive, due to be adopted in the UK by the the end of 2017, pubs and restaurants will be told to take reasonable steps to reduce acrylamide in food or face enforcement measures. In the technique, patients are intravenously injected with bubbles a little smaller than human red blood cells. The microbubbles, which are capable of latching onto the cancer cells but not healthy cells, sail through the blood vessels until they reach a malignant tumor, where they begin to accumulate in the blood vessels supplying the tumor. The prospective, single-arm PANOVA trial investigated the safety and efficacy of the company’s Tumor Treating Fields technology in combination with nab-paclitaxel and gemcitabine, according to a statement. It involved 20 pancreatic cancer patients whose tumors could not be surgically removed and who did not undergo chemotherapy or radiation therapy before the trial. Champiat said that he and his colleagues had mistakenly believed that patients whose cancer had entered a hyper-growth mode were merely experiencing pseudo-progression, so they continued the immunotherapy treatment. “We were probably deleterious because we maintained that,” he said. The combination of two or immunotherapy drugs to treat cancer more effectively is the next big commercial opportunity. Bristol can't afford to lose any more ground, so it's shadowing Merck, move for move. And that suits Incyte just fine. Ironically, Incyte emerges from these back-to-back deals continuing to be closely allied with the two top players in checkpoint inhibition. EMA publishes framework and action plan for closer interaction. Gottlieb has a long history of supporting deregulation of medical products. Various EU officials have already made it clear that the English language will not be allowed to exit the EU along with its main speakers on the continent — chaos would surely follow if, for example, the English-speaking EMA was expected to work with documents in every language but English. In 2015, Genentech(a drug manufacturer) and Priority Health (a nonprofit health plan) agreed to collaborate on an outcomes-based contract for Avastin ® (bevacizumab) in patients with non–small-cell lung cancer (NSCLC). Stakeholders frequently discuss outcomes-based pricing agreements (OBAs) as a promising alternative to traditional drug pricing strategies. These arrangements are a type of performance-based risk-sharing, in which prospective clinical outcomes data are used to link a drug’s price to its real-world efficacy. "Competition is key to lowering drug prices," Trump told pharmaceutical executives at an Oval Office meeting in January. But that is not happening with new drugs called checkpoint inhibitors. More than 50 researchers at six institutions are involved in the team. Each grant worth $750,000 over three years. A limitation is that the study did not have a randomized control group with standard therapy; the survival data could therefore only been seen in the context of historical controls, Schmid said. Safety profile is consistent with previous studies, with no cumulative toxicity with combination therapy or new safety signals. The new drugs do come at a hefty price. The combination regimen used in the study costs about $145,200, Bristol said. Estimated five-year overall survival rate in previously treated advanced NSCLC patients who received Opdivo was 16%; survival was observed across PD-L1 expression levels and tumor histologies. Given the positive results in skin cancer, and also in lung cancers that have not been helped by other treatments, why didn’t Bristol succeed in previously untreated lung cancer patients, the biggest market for these immune-boosting cancer drugs? Researchers have been scratching their heads asking that question. ZUMA-1 enrolled 111 patients of whom 101 were successfully treated with axicabtagene ciloleucel. ZUMA-1 patients were heavily pretreated and representative of those in the SCHOLAR-1 pooled analysis of refractory aggressive NHL. A limitation of the study is that this is a retrospective analysis and the findings will need to be validated prospectively, Park said. In all, the analysis included 407,649 men from CPS-I, followed from 1950 through 1972, and 416,040 men from CPS-II followed from 1982 through 2012. The study participants had self-reported numerous sleep-related behaviors, including sleep duration, shift work, and insomnia. The researchers studied 86,206 women who were enrolled in the Nurses’ Health Study between 1980 and 2012, and 43,977 men who were enrolled in the Health Professionals Follow-Up Study from 1986 to 2012. They assessed aspirin use at baseline, then every two years after that. Whole-genome sequencing conducted on a large cohort of childhood cancer survivors indicated that many survivors harbor mutations in cancer predisposition genes, significantly increasing their risk of developing a subsequent neoplasm (SN) later in life. Multiple presentations are being featured at AACR that highlight advances with Seattle Genetics’ ADC and empowered antibody pipeline programs. Now that the first wave of PD-1 checkpoint inhibitors have been in use for awhile, we’re starting to see just how durable they can be for some patients. 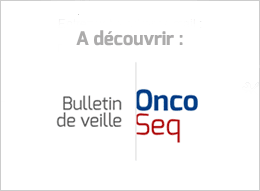 CheckMate -143, a randomized Phase 3 clinical trial evaluating the efficacy and safety of Opdivo in patients with first recurrence of glioblastoma multiforme (GBM), did not meet its primary endpoint of improved overall survival over bevacizumab monotherapy. "We are pleased that PEGPH20 continues to demonstrate significantly improved tumor growth inhibition in certain hard-to-treat hyaluronan-rich cancer models when administered in combination with additional cancer fighting agents." According to Erbe, the main limitation of this study is that the number of patients in the two treatment groups was relatively small, and the subgroups with the different KIR/KIR-ligand genotypes were even smaller. Thus, the conclusions from this single study cannot be viewed as definitive and need to be validated, she explained. For many patients whose cancers responded to treatment with an immune checkpoint inhibitor, particularly those that target the immune checkpoint proteins PD1 and PDL1, the responses appeared to have lasted for several years. The new data, based on a median follow-up of 16.4 months, show a small increase in the overall response rate compared with 6 months of follow-up, from 31% to 33%. Ten patients had complete responses and 19 had partial responses, Howard L. Kaufman, M.D., of the Rutgers Cancer Institute of New Jersey, reported at the AACR annual meeting in Washington, DC. Biden said the proposed $5.8 billion cut to the National Institutes of Health would be a stunning blow to scientific progress. “This would set the NIH budget, and biomedical research, back 15 years — and that’s not hyperbole,” Biden said. The president’s budget also proposes “a major reorganization” of the institutes to focus on “the highest-priority research and training activities.” The White House said Mr. Trump wanted “consolidations and structural changes” at the agency, which now has 27 institutes and centers, each with its own broadly defined mission. Today, Croce received two expressions of concern (EOCs) from PNAS for two well-cited papers published over a decade ago, on which Croce — chair of the Department of Cancer Biology and Genetics at The Ohio State University (OSU) — is last author.